Australian super-maxi Wild Oats XI clinched their ninth Sydney Hobart line honours on Friday in one of the closest finishes in the race's history. Rome Kirby, who won the America's Cup with Oracle Team USA in 2013, will be the skipper of the American entry in the new SailGP league. Varun Thakkar and KC Ganapathy believe they could have finished higher but for accusations made against them by the Oman team on day three of the 49er men's event. Indian sailors KC Ganapathy and Varun Thakkar explain how one of world sailing's true greats is helping them in their quest to bring glory to India. José Caldas fled war-torn Angola for Brazil in 1975. His lifelong love of sailing finally helped him come home. U.S. Olympians Caleb Paine and Bora Gulari are on the initial roster of 17 sailors announced by American Magic, the America's Cup challenger backed by the New York Yacht Club. Lost sailor John Fisher wasn't wearing his safety tether when he was knocked overboard during the Volvo Ocean Race. British-born sailor John Fisher, who went overboard in rough conditions in the harsh, remote Southern Ocean, about 1,400 miles west of Cape Horn, is presumed lost at sea. A British sailor has died after being swept overboard during a round-the-world yacht race, organisers said. Malcolm Page, chief of Olympic sailing, says U.S. Sailing wants to know if the catamarans, which recently were upgraded to allow foiling, can be made safer. U.S. Sailing says Olympian Bora Gulari's fingers became entangled in the rigging of his Nacra 17 when it capsized in strong winds Wednesday. 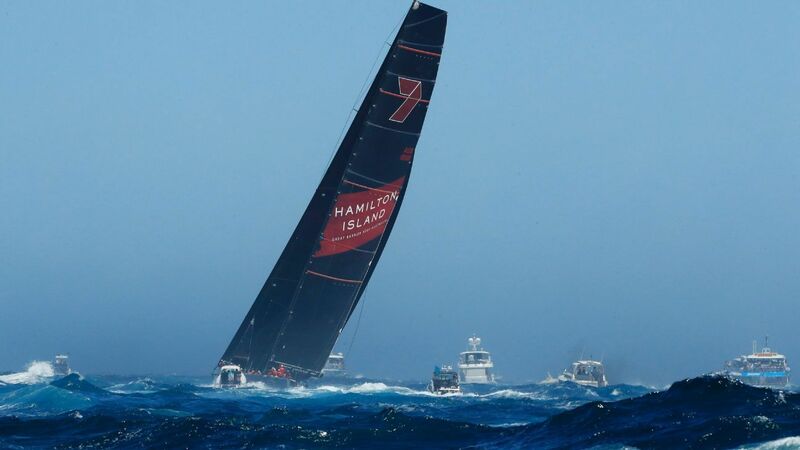 Team New Zealand, which beat Team USA in the 35th America's Cup last month, has indicated it will likely host the next America's Cup regatta and challenger selection series in Auckland in early 2021. Peter Burling skippered Team New Zealand to two more wins over Team USA to take a 6-1 lead in the America's Cup. Peter Burling calmly steered New Zealand's 50-foot catamaran to two more dominating victories over Jimmy Spithill and two-time defending champion Oracle Team USA on Sunday to remain undefeated in the America's Cup showdown on the Great Sound. Peter Burling and Emirates Team New Zealand survived two heart-stopping moments to win the first two races of the 35th America's Cup against Jimmy Spithill and two-time defending champion Oracle Team USA on the Great Sound on Saturday. Sir Ben Ainslie hopes to see his team New Zealand rivals back up and racing soon, after a spectacular capsize in the America's Cup challenger semi-final in Bermuda. Olympic bronze medalist Caleb Paine of San Diego and 16-year-old Daniela Moroz of Lafayette, California, have won the U.S. Sailing Rolex Yachtsman and Yachtswoman of the Year awards. French skipper Francis Joyon smashed the record for the fastest sail around the world by more than four days when he won the Jules Verne Trophy on Thursday. British sailor Alex Thomson has set a world record for the most distance sailed solo in 24 hours in the Vendee Globe. Swiss team Alinghi clinched the Extreme Sailing series on the final day of competition Sunday, with skipper Arnaud Psarofaghis holding off a late attempt from archrival Oman Air to win the title. Denmark's sports confederation says yachtsman Paul Elvstrom, who won four straight Olympic gold medals between 1948 and 1960, 13 world championships and seven European championships, has died. Businessman Kim Andersen of Denmark is running for president of World Sailing, saying the governing body is at a crossroads under incumbent Carlo Croce. With Fig Newtons and Springsteen tunes in tow, Rich Wilson is set to embark on his second Vendee Globe race, which tests fate and emotions as sailors try to finish by circumnavigating the earth. America's Cup officials released the full schedule for the 2017 regatta in Bermuda while continuing to remain silent about an arbitration panel decision that reportedly went against organizers. Can the Vols keep it up? Will LSU turn it around under Ed Orgeron? Will Alabama lose a game? These are a few of the biggest SEC questions this month.